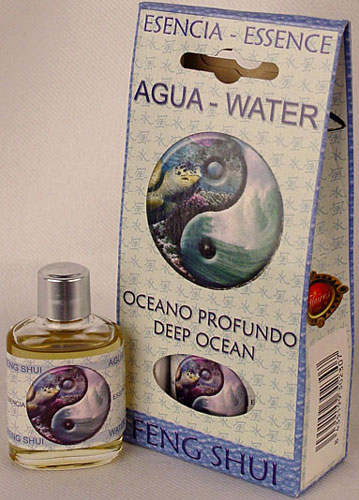 Feng Shui Water Essence (15 ml) has an essence of movement and change. Tts mix of marine notes with fresh herbs and flowers such as lavender. Adequate to attract the change in our lives. Top quality. Our essential oils are premium essences to be burnt. Our essential oils deliver positive benefits to the body through smell or direct absorption into the skin via a high dilution (2-3% essential oil to 98-97% base oil). Their primary use is as an ambiance fragrance. Made by the Flaires brand from Spain. Premium European quality. Made of Isopropil Myristate and perfumes. 15ml (1/2oz) bottles. Packaged in a gift box.